Teaching4Moments: How Full Is Your Bucket? 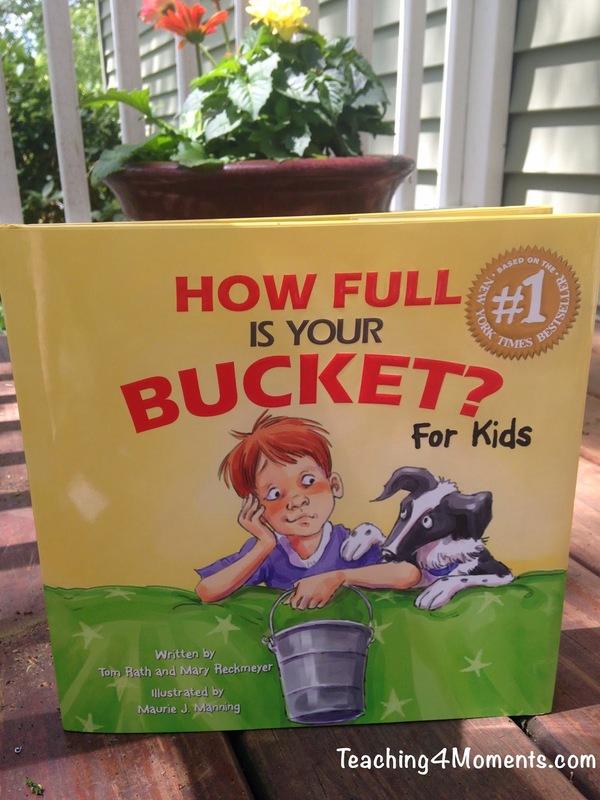 As a young mother I first read the book, How Full Is Your Bucket, by Tom Rath and Donald Clifton for a book club. I don't recall if I picked the book or if it was assigned, but I loved it right away. At that time of my life I was knee deep in diapers, nursing, chasing babies, and desperately trying to keep my sanity while my husband was preoccupied with grad school. 4 kids in 5 years, was a bit overwhelming. I appreciated right away how the book helped me to focus on the positive parts of our lives and how we can help others to be happy as well. I know that self-help books often get a bad rap, but I love them! They make me feel good and motivated, so where's the wrong in that? Good stuff! (I believe son and granddaughter of Donald Clifton) wrote another version of the book for kids! It quickly became popular and has since been picked up by thousands of school teachers and implemented in their rooms as a way to teach kindness, happiness, and empathy. 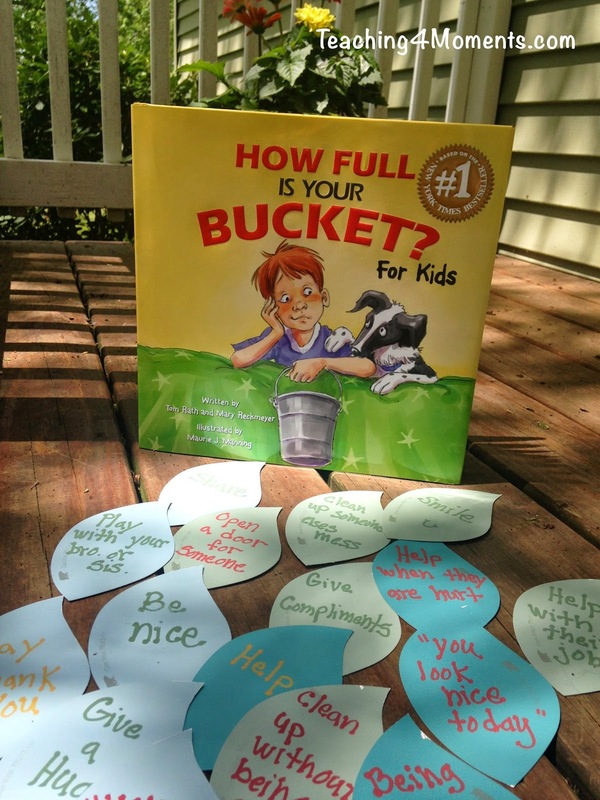 It's not uncommon to find lots of little buckets in classrooms these days for students to "fill" for each other. I love this kid version just as much as the adult one! A few other books have popped up along the way to help illustrate the bucket concept. So the idea behind the buckets as that we all have an imaginary one that is a part of us. Throughout our day we are either "filled" or "dipped" from by the people around us, and the experiences we go through. Saying something nice to a friend, adds a drop to their bucket (and yours!). Say unkind words to a friend and their bucket has just been dipped from (and yours!) The goal is try to and keep a full bucket and to help those around as have one as well. So I taught my kids this lesson using these books a few days ago and I've been amazed at how well the idea has stayed with them! 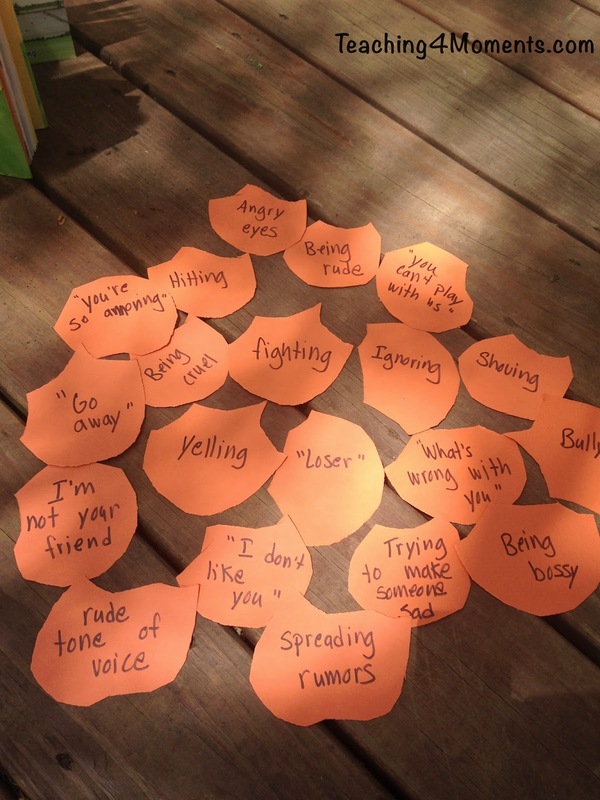 They're each recognizing more than ever how their words and actions effect those around them. Just by asking them if they are being a bucket filler or dipper (on the spot) has been extremely useful. I hope you'll read this book with your kids! I also made up some "drops" so that we could talk about positive ways to fill buckets. I plan to hang these in the house, but need to find the perfect spot still. A large part of our lesson ended up focusing on ways that people dip from buckets. We thought of lots of examples and it was definitely interesting to watch as the kids recognized some of their own behaviors off of our list. It was almost like it had just dawned on them that those behaviors weren't a good idea. "Ummmm... what have I been teaching you?" Yes, not a proud moment for me as their mom, but I was glad that it was finally clicking! I tried to think of a few problems that had happened in our home recently, so that helped them to relate to these situations as well. 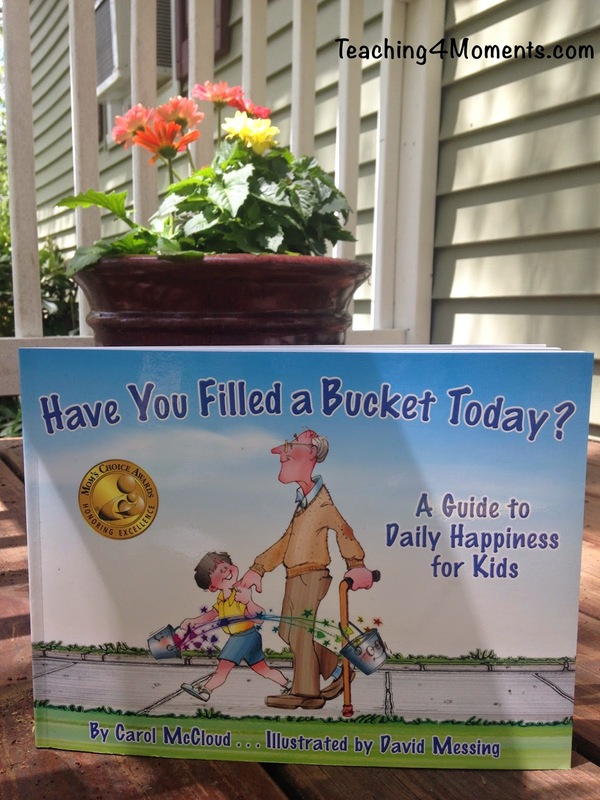 The book even talks about how our pets, teachers and parents have buckets and we need to treat them kindly as well. I also love how it talks about when other people are bucket dippers it is often because they have an empty buckets themselves. Those people we should especially seek out so that they can have their buckets filled quickly. If you want to find more activities to do with this book, Google will give you more than you could EVER need! There are some fabulous ideas out there. Enjoy! Have you seen a difference in your family or classroom by using this book?